If you are a fan of Fitbit and you have underperforming eyes, you might love this. After a year of beta testing, eye insurance company VSP are bringing their smart glasses to the market. Known as 'level', VSP's smart glasses contain a magnetometer, an accelerometer and a gyroscope. Completely located inside the left temple, these technological features track your steps, calories burned, distance travelled and activity time. All these are measured and monitored via a companion app which can be linked up to your frames via Bluetooth. The battery life on these smart tracking glasses lasts around five days in between charges with a magnetic port concealed inside the left hinge. Users will be able to connect with friends via the app, encouraging some healthy competition in similar Fitbit fashion. There is also a charitable component, which syncs up with VSP's Eyes Of Hope initiative where a point system awards whose who achieve their daily step goals. Once you reach 50 points, VSP will give away a comprehensive eye exam and eyewear to someone in need. The theory behind the glasses was to try and resolve the tendency of Fitbit wearers to forget to wear their device or fall out of love with its style, offering the tech inside something people have to wear. 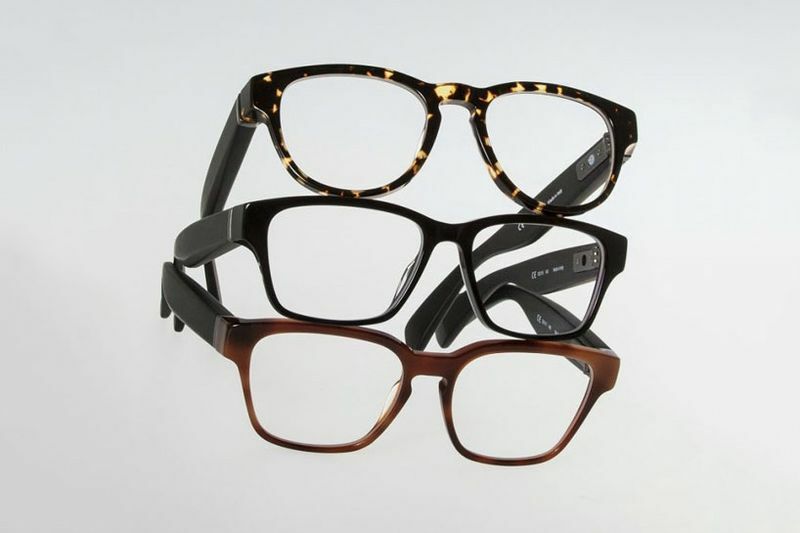 The launch comes at a popular time for smart glasses. Last month Intel unveiled its vaunt frames which use a retinal projection to put a display in your eyeball. The glasses make use of laser technology and a holographic reflector to project information directly onto the retina. Video: Fitbit Goes Full-on Watch And It Is Waterproof!